Ready to engrave with a personalised message, this sterling silver rectangle mini pendant can be worn on a bracelet or on your favourite chain. Ready to engrave with a personalised message, this sterling silver oval mini pendant can be worn on a bracelet or on your favourite chain. Dimensions 18.3mm x 10mm. Ready to engrave with a personalised message, this sterling silver square mini pendant can be worn on a bracelet or on your favourite chain. Dimensions 12mm x 12mm. 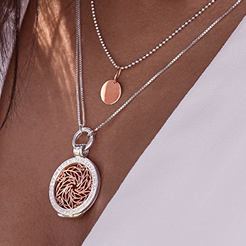 Finish off your Elysian look with this tree of life pendant crafted in 10ct yellow gold. Featuring a design created to celebrate the beauty of life, it is sure to add a touch of joy to your outfit. Offering added shine for your Elysian look, this 10ct yellow gold mini pendant is your little piece of glamour. The circular design is pave set with glittering cubic zirconias & will give your jewellery that little something extra. Celebrate May Birthdays with this crystal mini pendant in sterling silver. 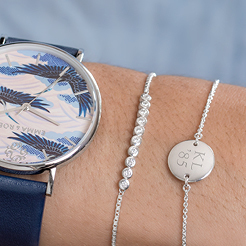 A perfect finishing touch for your Elysian look, or as a personalised gift. Celebrate August Birthdays with this cubic zirconia mini pendant in sterling silver. 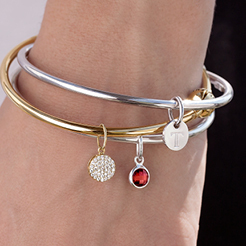 A perfect finishing touch for your Elysian look, or as a personalised gift. 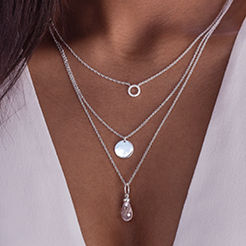 Celebrate September Birthdays with this crystal mini pendant in sterling silver. A perfect finishing touch for your Elysian look, or as a personalised gift. Celebrate November Birthdays with this cubic zirconia mini pendant in sterling silver. 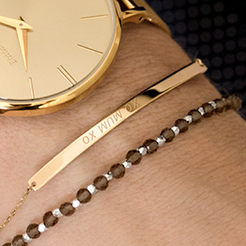 A perfect finishing touch for your Elysian look, or as a personalised gift.